Whether you are playing or working on your phone the Dell SyncUp synchronizes all your photos, music and videos on to your device and made it available on the web. 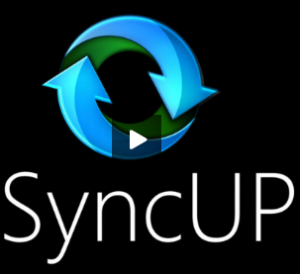 The Dell SyncUP is an online file storage client just like that we see Dropbox allowing you to have collaborative sync from any device. This feature comes with preinstalled in Dell Streak Pro mobile phone and it would be available in all the future mobile phone release by Dell. Clearly this is competitive measure by Dell in tie up with Nero to counter attack Dropbox. With Dell SyncUP you can manage your music libraries, create playlists, play music and videos and do lot more with it. They straightaway provides 2 GB of free online storage and also they have premium services setup to support more storage options like 50 GB, 100 GB, 200 GB and more. The Dell SyncUP comes with easy to use interface to synchronize between two devices or multiple ones. This makes it easy to do with a clear and simple interface. It makes it easy to manage, search, organize your photos, and organize music and video all at one place. These are done with enhanced media management. The Dell SyncUp comes with multiple PC sync to several PCs and its easy to sync with them. It provides immediate backup and keep your files safe and secure to provide real time PC and mobile backup. You can even backup individual files or entire folder. Access those files from anywhere using any device. You can share your music, photos, files and videos to social media sites easily. Dell SyncUP is compatible with many of the mobile platforms like Android, Windows mobiles, BlackBerry, iPhone and many more. So do you think you would go with it compromising with Dropbox?